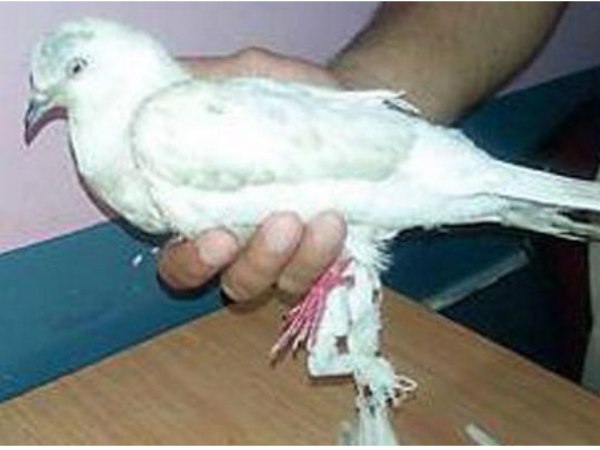 A pigeon has been arrested in India on suspicion pf being a Pakistani spy. According to police officials, the bird was ceased and sent for x-rays after a villager spotted a "stamped message under its feathers. The stamp apparently revealed Urdu script, the official language of Pakistan, and the name of a Pakistan district. "We sent the bird to a polyclinic where X-ray scans were done to see if there is any spy camera, transmitter or hidden chip," senior police superintendent Rakesh Kaushal told AFP. "Till now there is no evidence to suggest it is a spy bird but so long as we are not able to decipher what is written in Urdu, we cannot be absolutely sure." According to Rakesh, police immediately alerted intelligence services over the discovery of the pigeon in the state of Punjab. This is also not the first time birds have become embroiled in the often deadly decades-old rivalry between the two nuclear-armed neighbours. In 2013, Indian security forces found a dead falcon fitted with a small camera, and in 2010 another pigeon was detained over espionage fears.